Don’t fully understand the risks of point-source pollution? Not sure if it is a problem for you, your local area – or your role? Want to understand what can be done about it? 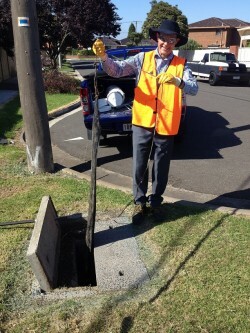 Point-source pollution (a single, identifiable source of pollution such as a property, pipe or drain) poses a significant threat to waterways and human health in urban areas across Greater Melbourne and beyond. It also presents risks that can affect amenity and the longevity of drainage assets. However, it is difficult to fully understand the risks associated with point-source pollution, the extent of the problem and what can (and should) be done about it. Melbourne Water's Living Rivers Program and Clearwater present an outstanding line-up of subject matter experts and local government case studies in this half-day forum, aimed at supporting local government and the industry in improving point-source pollution management. Presentations will be followed by an interactive small-group discussion and panel session. The session will be particularly useful for practitioners hailing from Local Government (including those from environmental health, local laws, planning enforcement, environment/sustainability, asset management and community education), water retailers, and other agencies involved in management of waterways, drainage assets, urban development and human health.